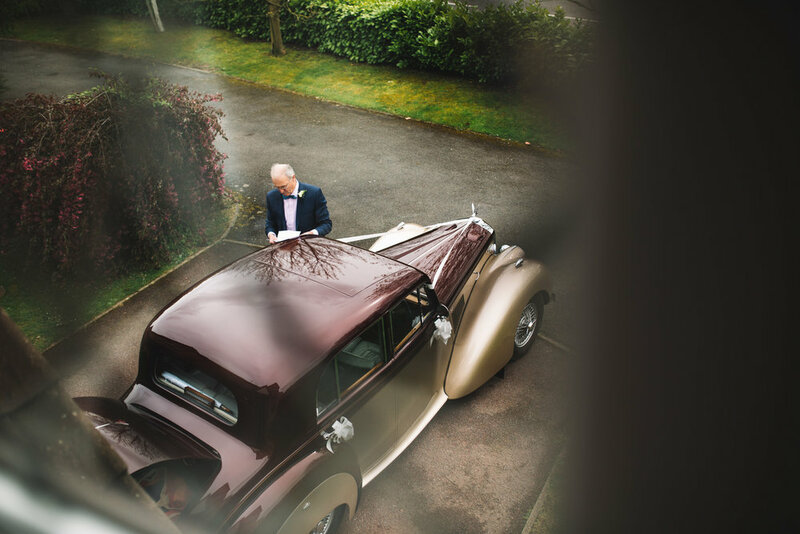 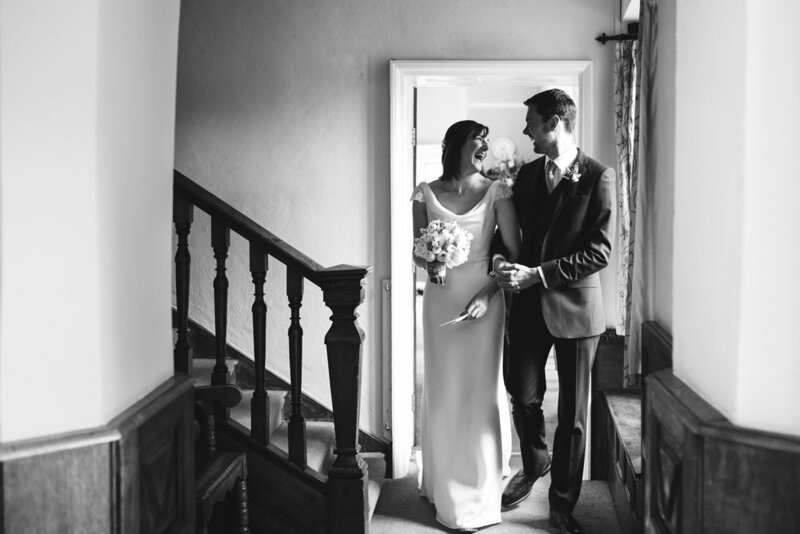 Being asked to photograph a wedding is always a huge honour, but it's even more so when the groom is a talented photographer! 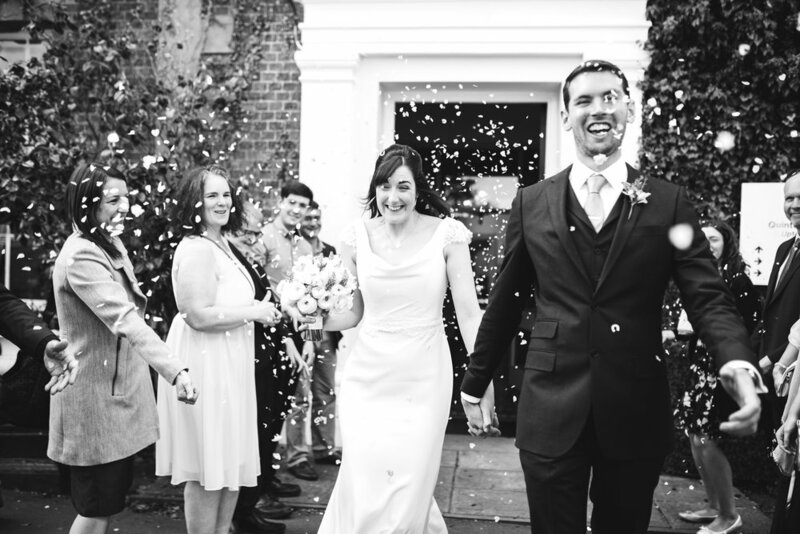 What I loved most about Graham & Annabel's day is that they designed it exactly the way they wanted, with a ceremony and intimate drinks reception in the morning at Rushden Park Hall for their closest friends and family before heading to the gorgeous Quinton House School for a humanist ceremony in front of their full set of guests. 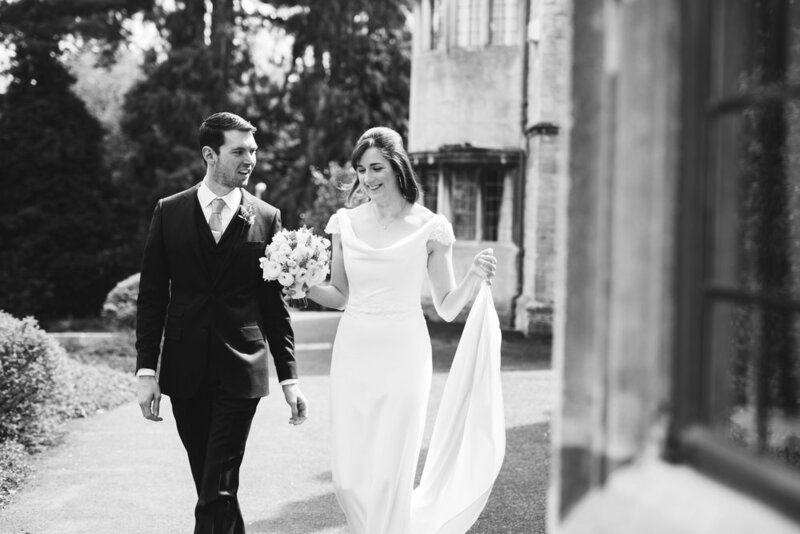 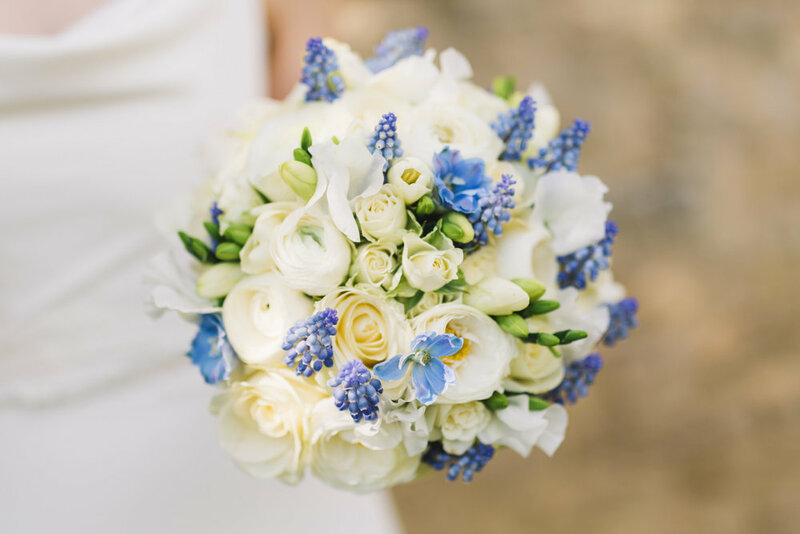 Annabel walked down the aisle in the most elegant bespoke wedding dress, carrying a bouquet of ranunculus, freesias and grape hyacinths. 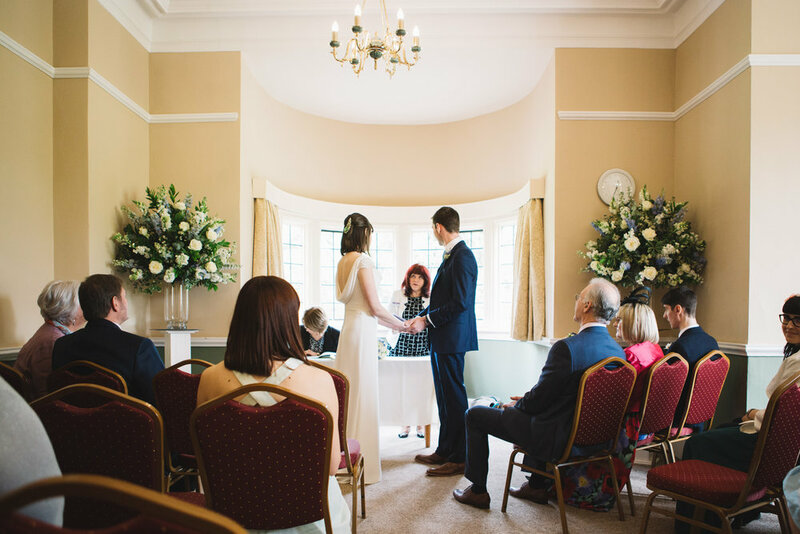 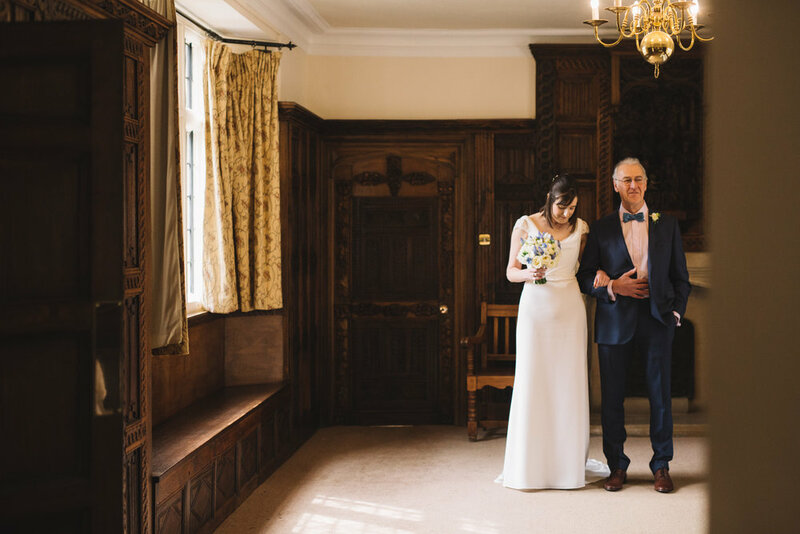 I just love the big hall at Quinton House, it's so elegant but small enough to give a ceremony atmosphere. 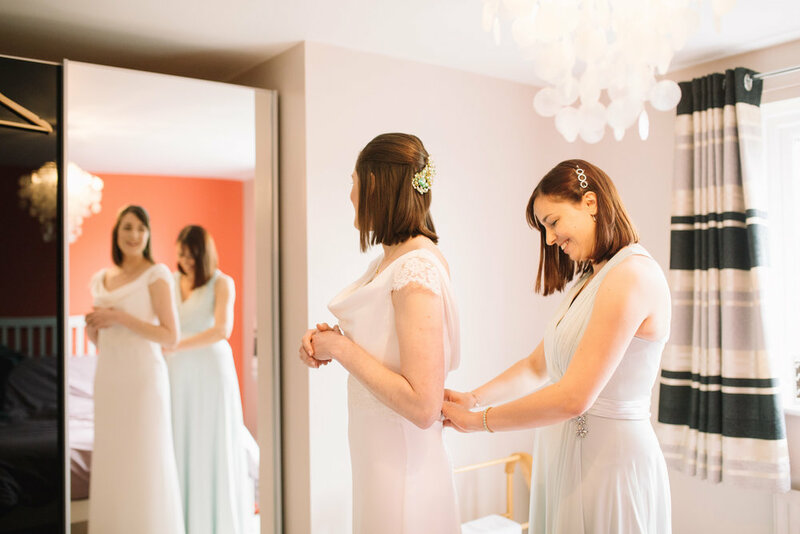 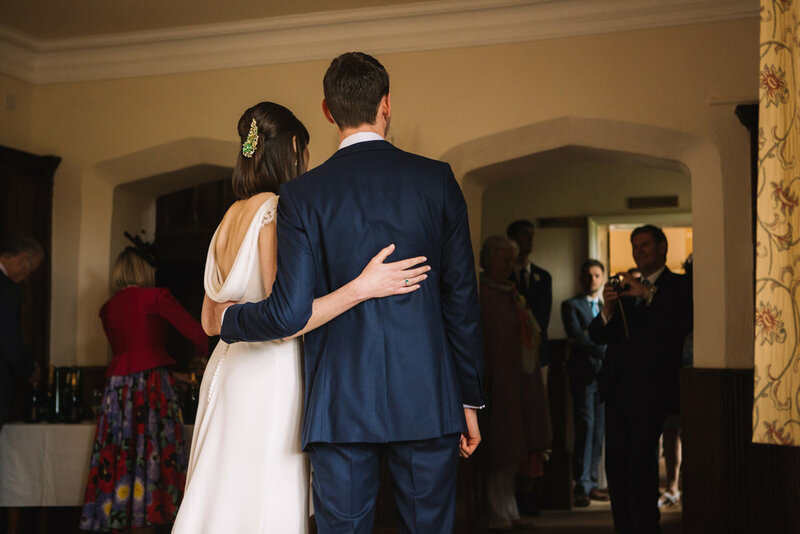 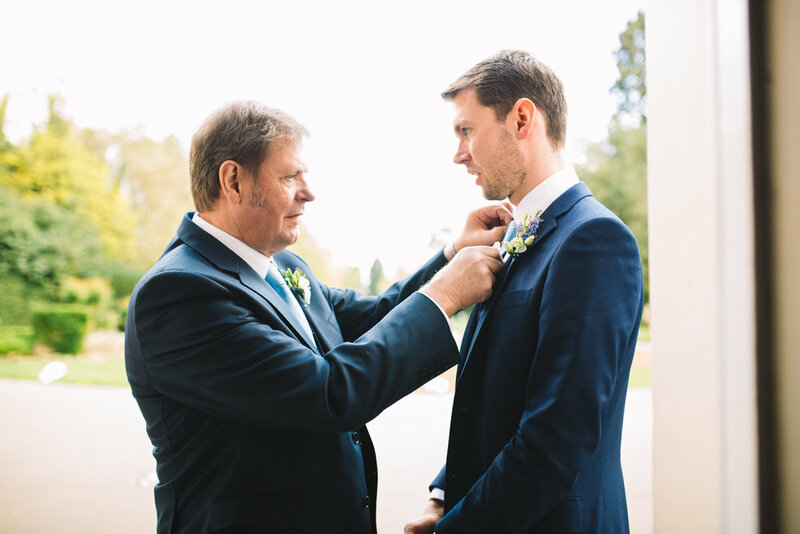 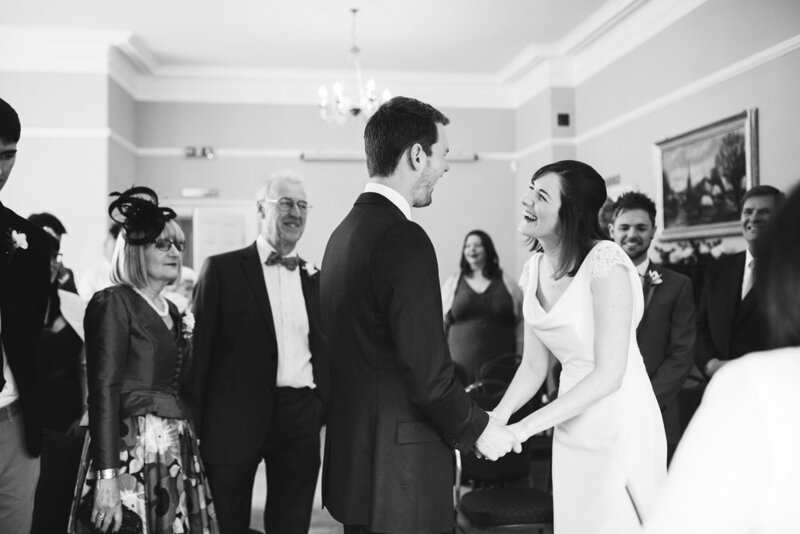 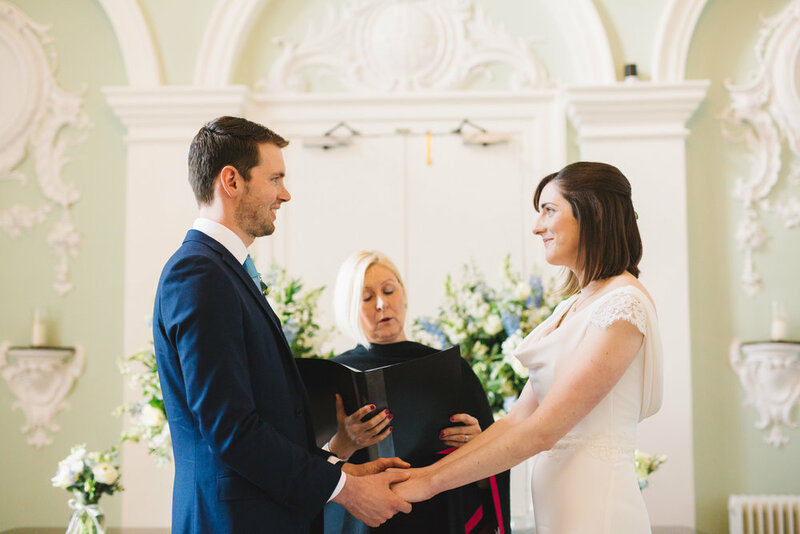 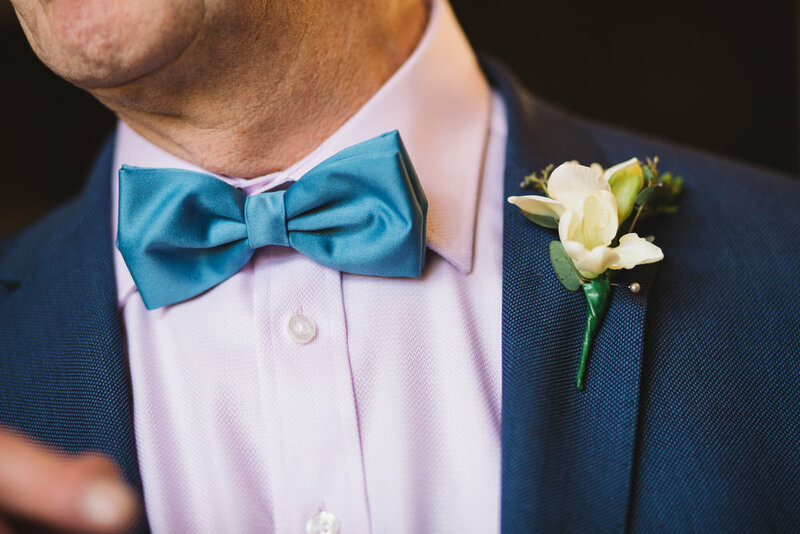 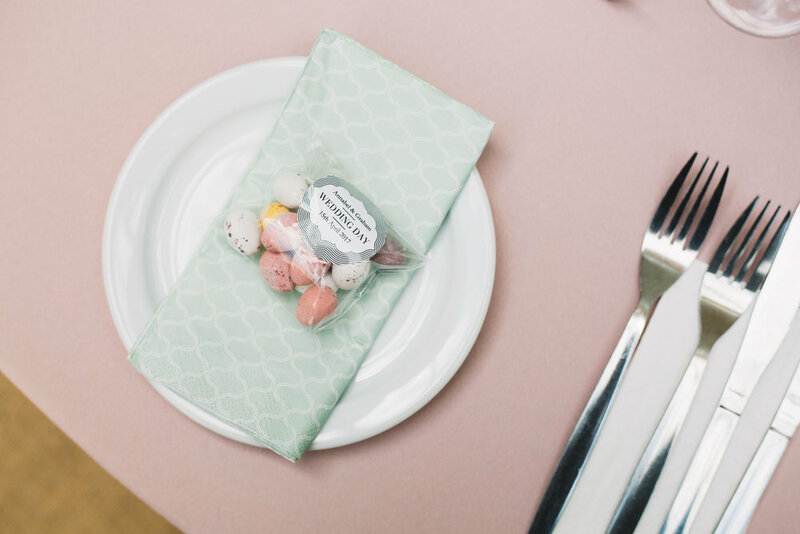 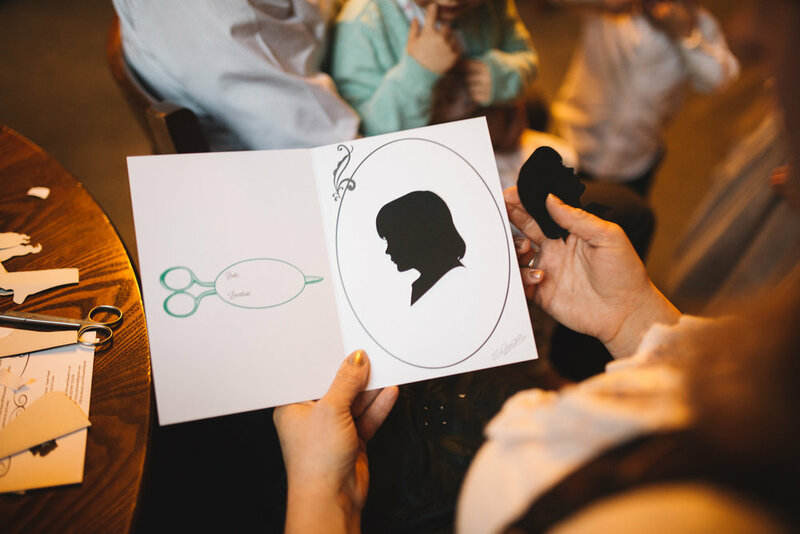 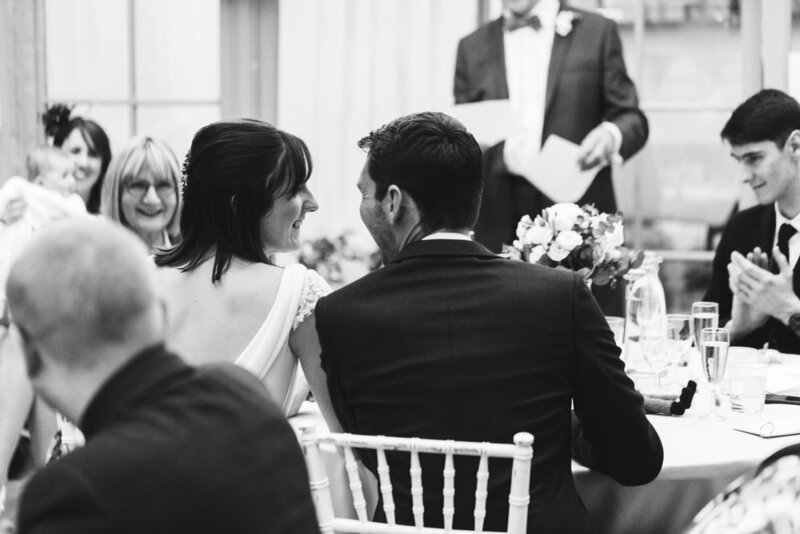 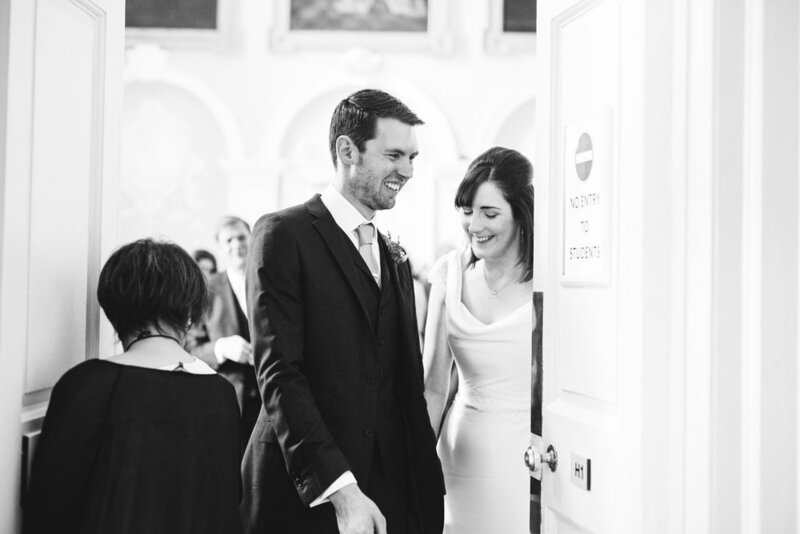 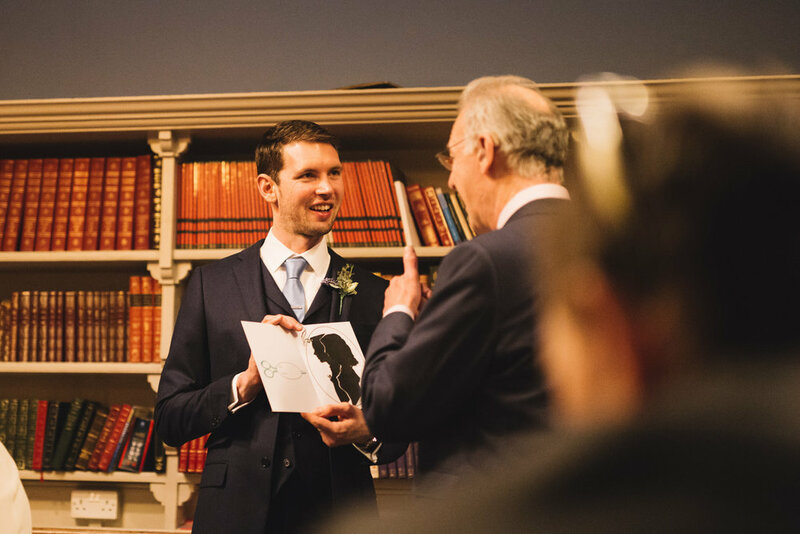 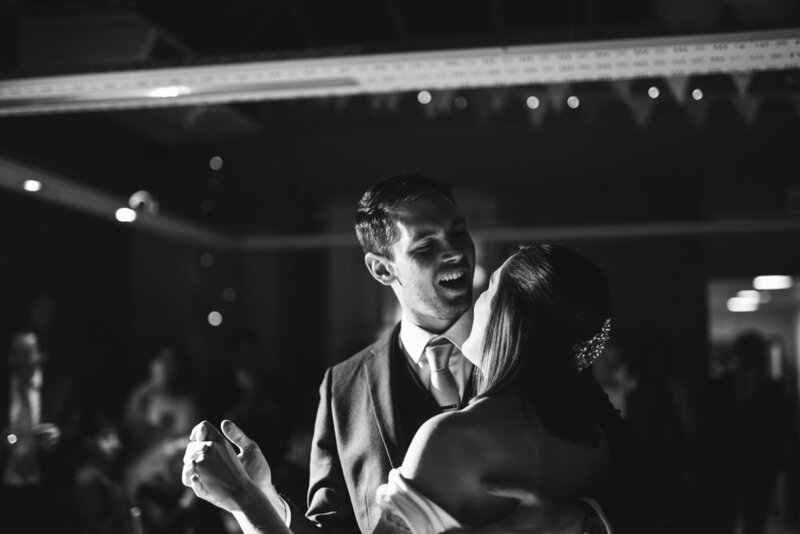 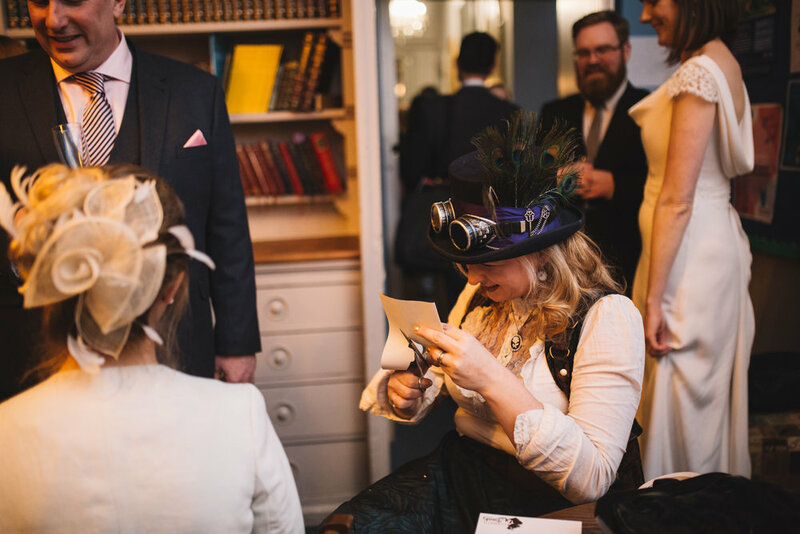 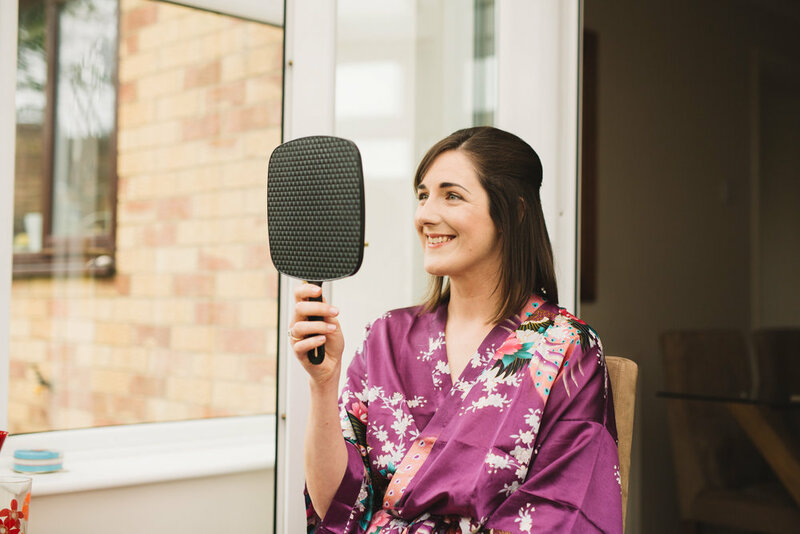 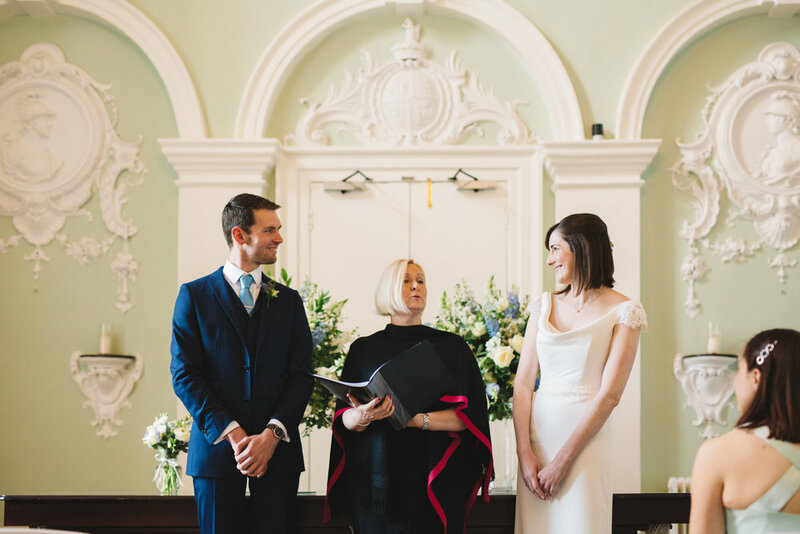 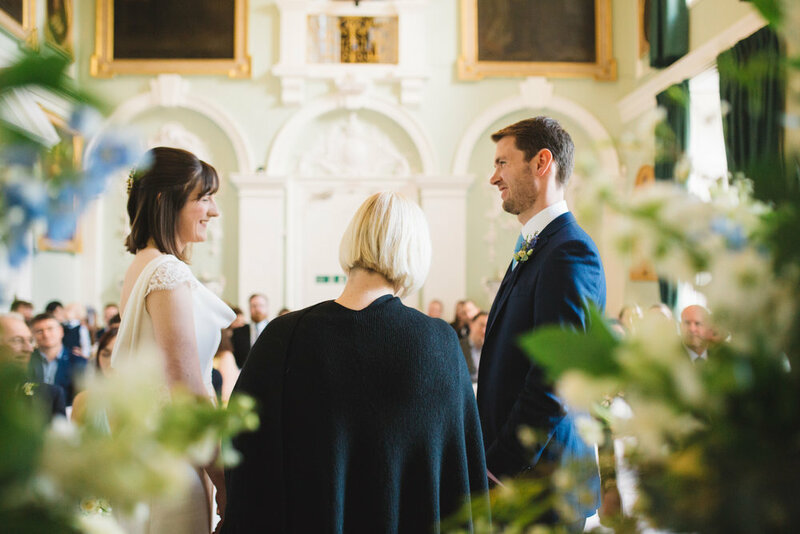 Humanist ceremonies are my favourite – they are so personal and really celebrate not only the love between the two of them but who the bride and groom are as people. 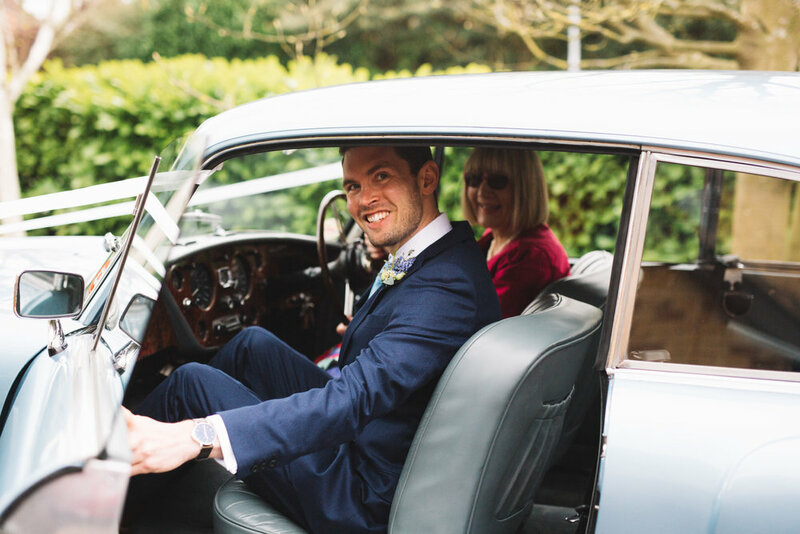 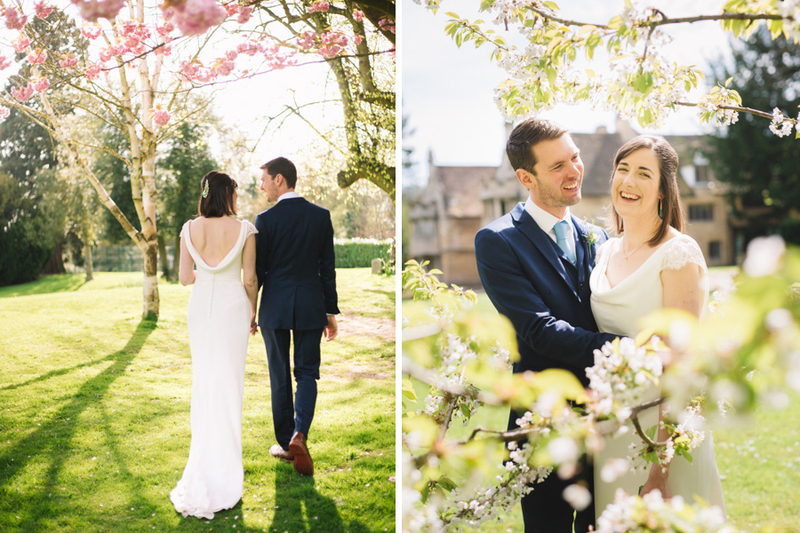 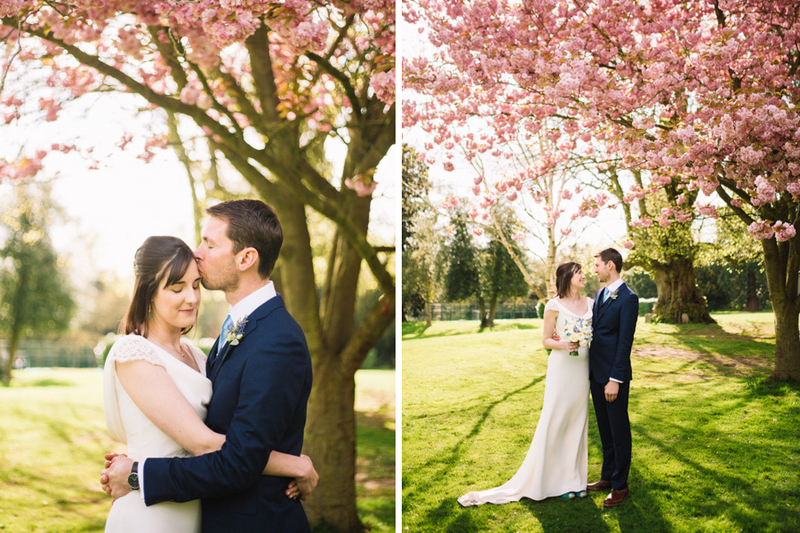 We were blessed with beautiful sunshine and the most abundant cherry blossom trees for their photographs, something I was ridiculously excited to see as we approached the venue in the car. 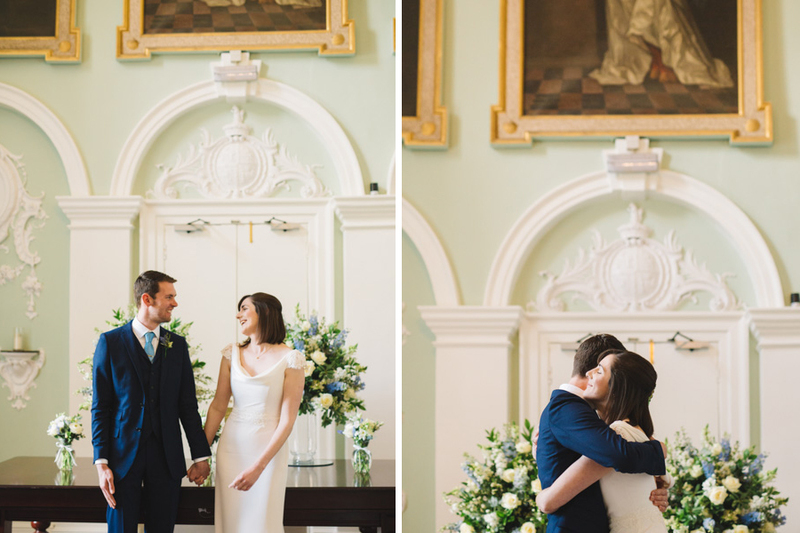 And thanks to Graham & Annabel's special request I got to do something a little different - I brought my medium format camera along with me that day and shot some portraits on it! 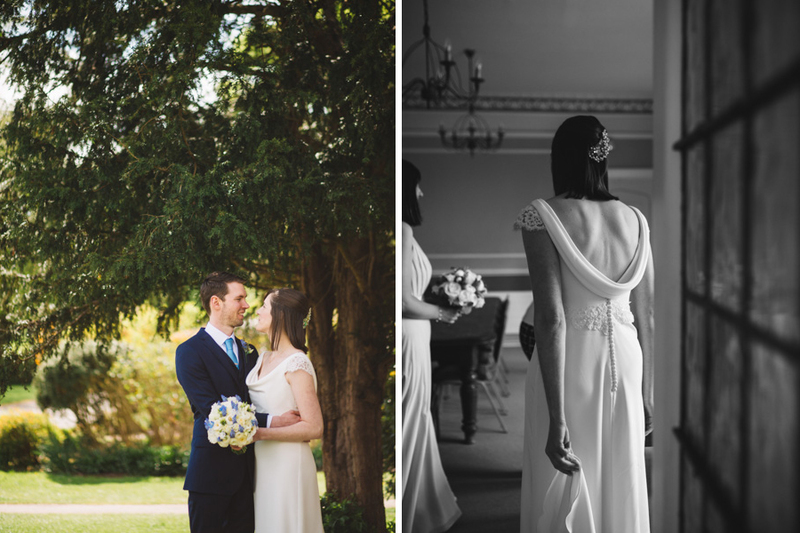 Thank you both so much for the opportunity to photograph your beautiful day. 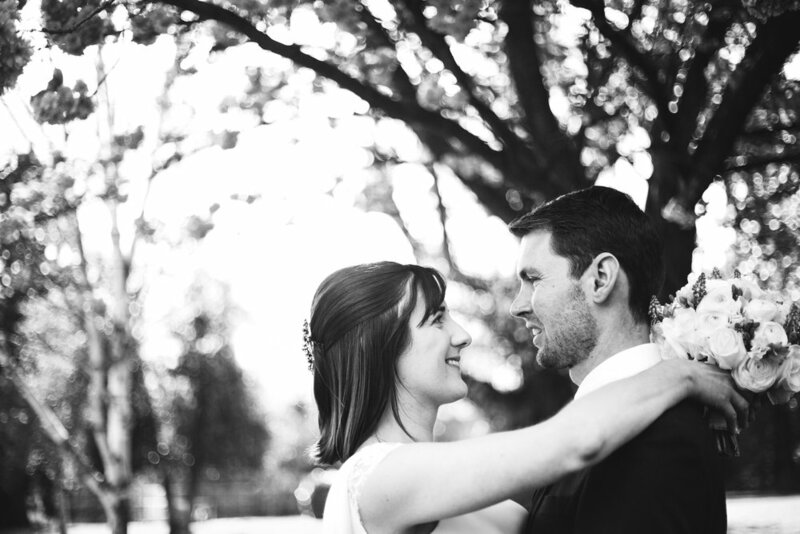 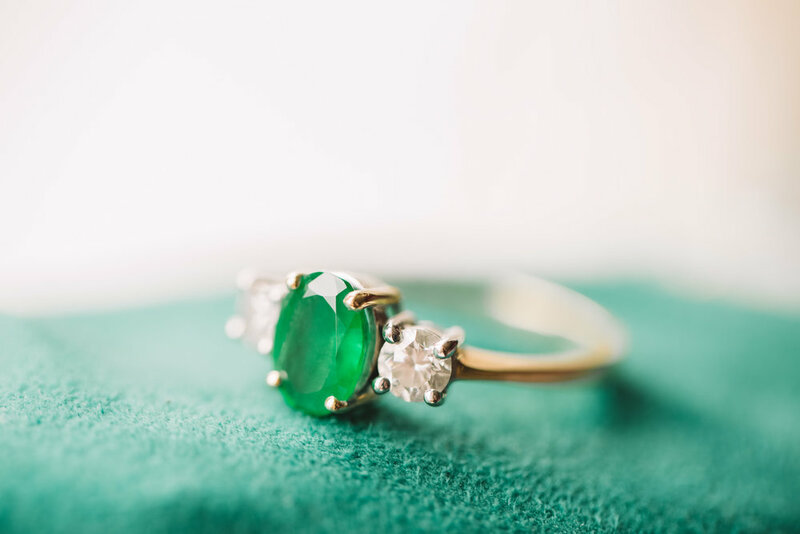 I still can't get over the idea of having shot another photographer's wedding!